Once a week I post interviews with interesting designers about their insights on their experience of working in the Knitting industry. 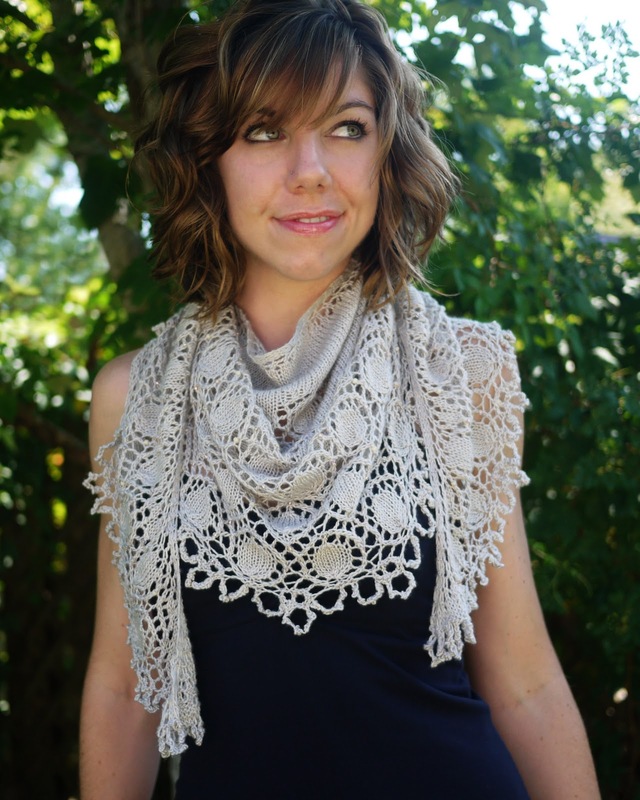 I’ve noticed that every designer makes their living in a slightly different manner bringing their own unique presence to the Knitting world. Tori says that her ultimate goal growing up was to become a fashion designer but she took a more traditional route first after college pursuing another path. Now she balances her time sitting on the couch knitting with running and coaching beginner marathoners. You can find Tori here and here on Ravelry. You will find all the patterns in the photos here on her website. I find inspiration everywhere; from mythology, magazines, stitch dictionaries and definitely wandering the streets of Savannah! There is such an eclectic mix here: young art students, elegant Southern ladies, the coast and amazing historical architecture. 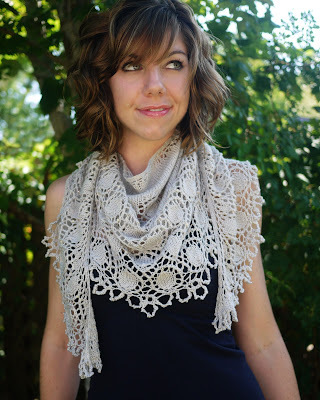 It is hard to choose a favorite, but I would say that lace knitting is definitely at the top of my list. I love the process, especially blocking out that small rumpled thing into a large and beautiful shawl. For garments, I always try to offer at least 7 sizes if possible within the constraints of the design. 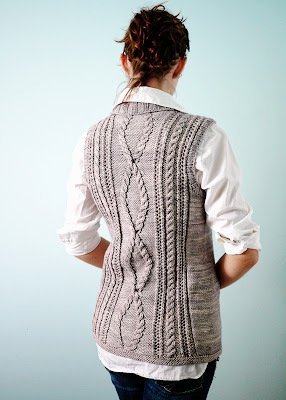 My first sweater design, to be featured in the upcoming Fresh Designs: Sweaters from Cooperative Press, was required to be offered from XS to 3X so that size range stuck with me. 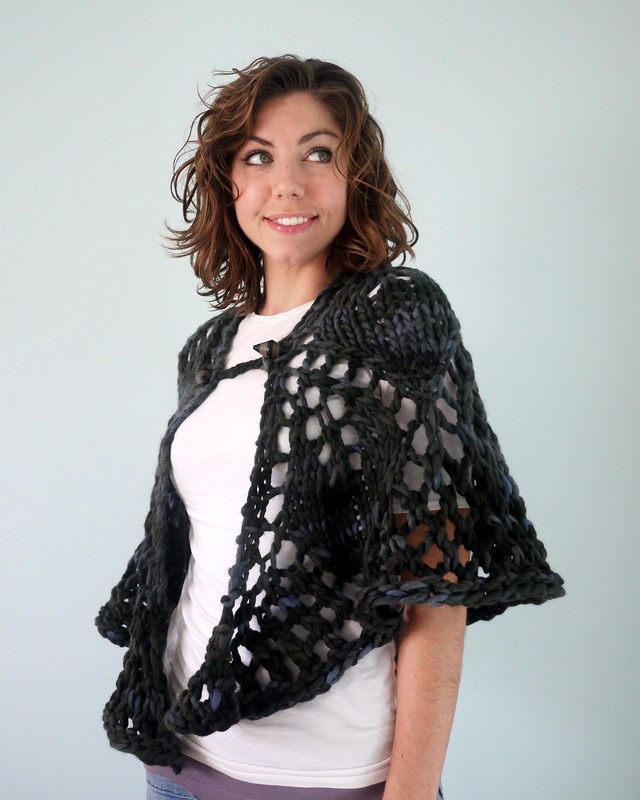 I try my best to fit and appeal to as wide a range of knitters as possible. I do look at other designers' work all the time. One of my favorite things to do while drinking my morning coffee is look through all of the "Recently Added" patterns on Ravelry. I think I have definitely been inspired by other designers' work, which I think is a very large part of any fashion related industry. I also like to make sure that I am not designing something that is exactly like something that is already out there. Since designing is my main job and I am hoping soon it will be my main source of income, it serves no benefit for me to release a pattern that is too similar to something that is already out there because it has less potential to be profitable and might hurt the other designer’s sales (or just upset them, after all they did get there first). I didn't know there was a controversy! I try to make my patterns easy to understand and to explain all necessary steps to make the piece in a concise manner. Sometimes I may over-explain, but I do feel it is better to err on the side of too much information than not enough. The less time I have to spend answering pattern support emails, the more time I can spend designing! I always knit all of my samples, as I tend to do a lot of my design work on the needles. I do use a few knitters for casual pattern tests, though they're volunteers that do it in exchange for free patterns and eBooks (I have caught wind of that particular controversy). No, I didn't expect my designing to pick up as quickly as it did, I was caught off guard a bit. This year, as part of my New Year's resolution, I did make a very informal plan with my goals and expectations for the coming year. No, I learned to knit on my own and never knew any other knitters "in real life" during my formative knitting years. Not particularly, though I am a big fan of self-publishing. It has had a huge impact on my business, because without it - it wouldn't exist! Currently, I only do digital sales. Also, I don't think "knitwear designer" would even be part of my vernacular without the internet and especially Ravelry. Yes, for every pattern that I self-publish. I like to put out as clean a pattern as possible, of course things still slip past us as we're only human, but more eyes on a pattern means less errors. Plus it is not just math errors or typos, I love that my editor (Kate Vanover) can take one of my long-winded, meandering explanations and help me distill it into clear instructions. I don't, it is horrible! That is part of my informal business plan, to separate work knitting from fun knitting and work internet from fun internet. Last year I would go through stages of intense designing and then I would be so burnt out, I wouldn't pick up the needles for weeks. This year I plan on setting aside a certain number of knitting work hours per day to help strike a balance. Deep breaths and a lot of running! I am fine with constructive criticism given with good intentions, it is the careless comments that you occasionally come across that sting. I try to take it for what it is worth and not let it affect me in a negative way. In the beginning there were a few times that I wanted to give up because I was so thin-skinned every less than glowing comment hurt. I realized that I love this too much to stop, so I had to take the good with the bad. I am getting there, hopefully within the next six months. Keep at it and be consistent. Treat it as a business if you want to succeed...advertise, promote yourself, blog anything to stay on the radar. Also be true to yourself, do what you love and allow that passion to shine through...they'll notice! Great interview! I love Tori's designs!